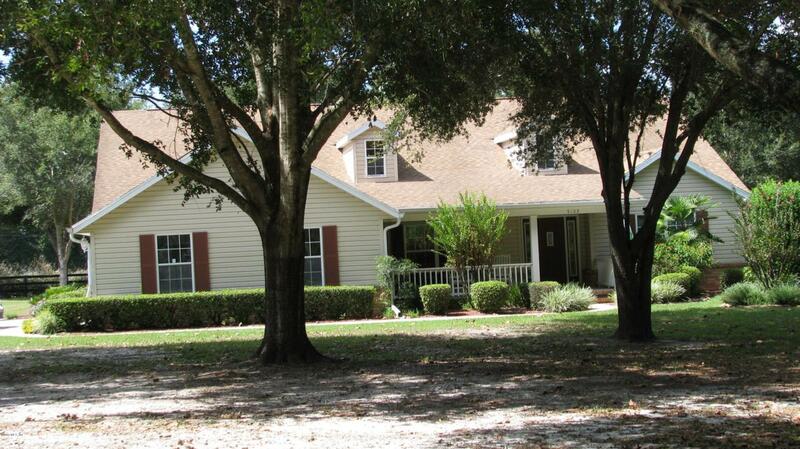 Beautiful Home on 3.21 acres close to town and shopping. The home is in brand-new condition. 3/2/3 Office/Den, Great room with double-sided F/P. The bedrooms are split plan with a spacious Master with spacious Master Bath, beautiful kitchen overlooking Breakfast room and lanai overlooking Pool. There is a 24 X 30 detached work shop as well. The property is dotted with Oak Trees, Beautiful Area. Board Fence and Privacy Fence around pool, curbing around Landscaping.